Our team at More For You have a real passion for beauty and skin care. We are committed to delivering a true beauty experience which is specific to your needs and provides exceptional results in a warm and friendly environment. 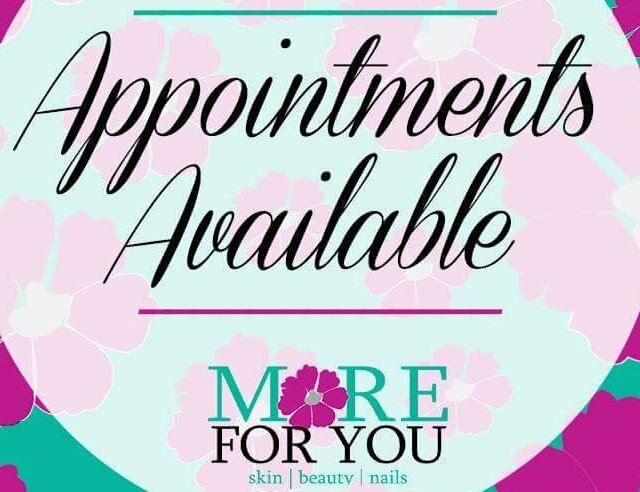 With a variety of services to choose from including, facials, massage, make up, manicure, pedicure, gel polish, lash extensions, waxing and eyebrow design, using only quality professional products, such and Pure Fiji, Nimue Skin Technology, La Clinca Skin Care, Curtis Collection and Bella Vi Make up. we are sure you¿ll be happy working with us. With therapist with over 15 years experience, you are in very capable hands.